Who can book a private tour? parties of 2 - 4 people (couples, families, friends, ...). When can you book a private tour? Tours can be scheduled during weekends (on Saturday and on Sunday), during the day. Christmas break: the 23th of December 2019 - the 5th of January 2020. Other moments can be scheduled on request. Contact us for further information. To obtain the best possible results, we advise you to do the regular (1 h) and royal (2 h) tours in the morning (when it's calmer in the city center). Which language will be spoken during the private tour? Your photographer speaks English, French and Dutch. What's the aim of Spotting Bruges photo tours? The aim of Spotting Bruges is to provide you with an exclusive souvenir of your visit to Bruges, by creating a digital photo story. While walking along with you in the historical city center, your profesionnal local photographer will take pictures of you at one or several spots. Each spot is carefully selected by the photographer to obtain the best possible images. Due to unforseen circomstances (such as road works, fire, ...), the spots can be changed in agreement with you. While walking in the city, your photographer will also give you some tips about local restaurants, ... . The aim is not to give you detailed historical information about the city and its monuments. Such tours are organized by the "Koninklijke gidsenbond Brugge" and by the Ambassadors of Bruges. What happens with the pictures taken during a tour? The pictures taken during the tour will be professionally developed digitally. full size pictures which can be used for printing. The result of the photo shoot will depend on the circumstances in which the pictures are taken. No extreme Photoshop remakes will be done. The number of pictures varies according to the chosen tour length. Spotting Bruges can use the pictures for commercial activities (website, Facebook, flyers, ...), unless you explicitly state not to do so. What to do if rain is forecasted? You can cancel your reservation free of charge up to 24 hours in advance. Spotting Bruges will fully return the advance you paid. If you cancel a tour less than 24 hours before the start, your advance will not be refunded. In the exceptional case that your photographer cancels the booked tour, your advance will be returned quickly. 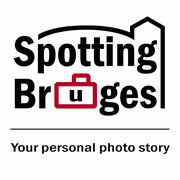 What happens with the personal data you give to Spotting Bruges?